Kershaw Knives designs and manufactures a wide range of knives, including pocketknives, sporting knives, and kitchen cutlery. 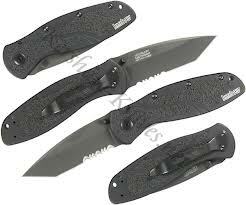 Kershaw is a brand of Kai USA Ltd., a member of the KAI Group. Kai USA Ltd. is headquartered in Tualatin, Oregon, United States.